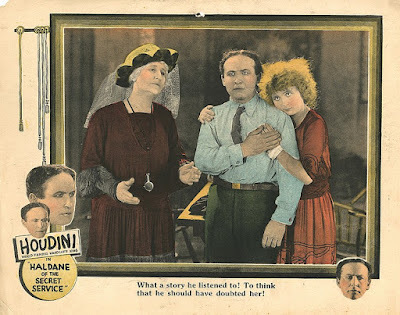 The blog Movies Silently has an amusing "Lobby Card Dissection" of the below from Houdini's Haldane of the Secret Service. It's fun to hear an outsider's take on the oddity of Houdini's movie career. The site also gave the film a raucous review HERE. 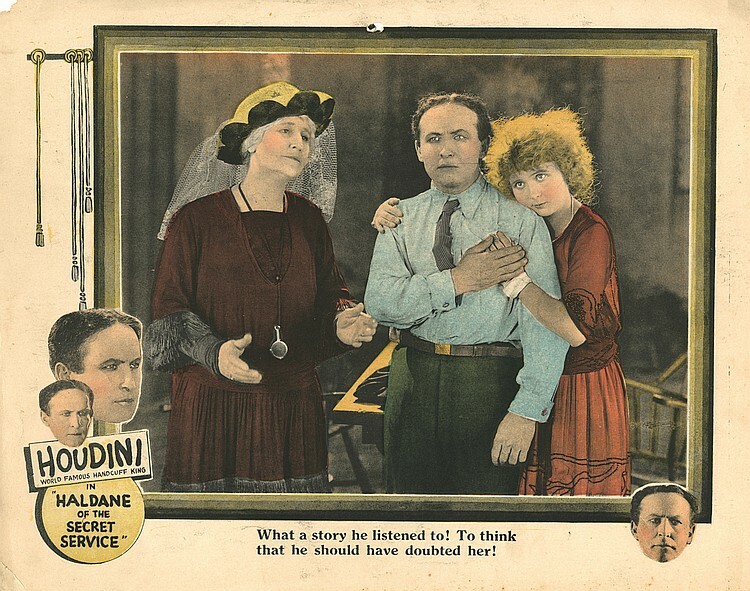 This lobby card sold in auction last year for $1,900 along with 10 other Houdini lobby cards. No laughing matter about that.